Kaire Konton-Smith, a busy mum of 2 from Scotland, has successfully lost 14lb thanks to the 28 Day Weight Loss Challenge. And Kaire is PUMPED about February’s 15 Minute Meal Prep theme for the 28 Day Weight Loss Challenge, as it helps her get food on the table FAST. 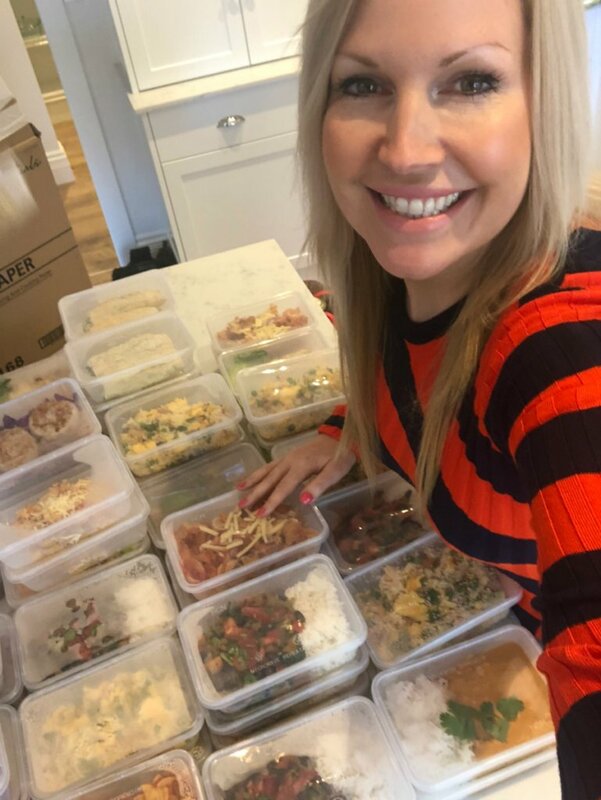 Kaire says: “As a busy working mum it’s super important I have the meals prepped and cooked as quickly as possible. 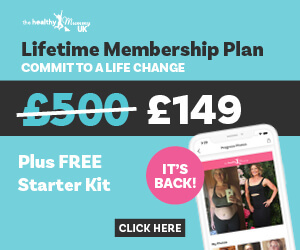 So I am really glad the 28 Day Weight Loss Challenge meals can be made fast, and I’m super excited about the new 15 Minute Meal Prep Challenge”. Let’s see what she has been cooking! PLUS we’re sharing Kaire’s favourite recipe in full below, so that you can try it out for yourself. Kaire adds: “Since joining the 28 Day Weight Loss Challenge, the kids are keen to get involved with meal prep and cooking. They love making their own pizzas using the pitta breads as a base. The other day we all made the Ham, Spinach and Feta pizzas from the app together. I prepared the ingredients and the kids had good fun adding all toppings onto their individual pizzas. Took us less than 15 minutes including the cooking time and they both proudly ate their pizzas for dinner. So we thought we would share the recipe with you so that you can try it out for yourself! Meals don’t get much easier than this, thanks to the 28 Day Weight Loss Challenge. Preheat oven to 200C / gas mark 6. Place pitta bread on the baking tray, spread with the passata and top with baby leaf spinach, tomato, ham and basil leaves. Crumble feta cheese over the top and bake for 10 minutes until golden and crisp then serve. Some other favourite fast dinners of Kaire’s are the Spanish Rice with Chorizo, pitta pizzas with ALL sorts of toppings, Stovetop Lasagne, and stir fries like this one pictured above from the 28 Day Weight Loss Challenge recipe hub. 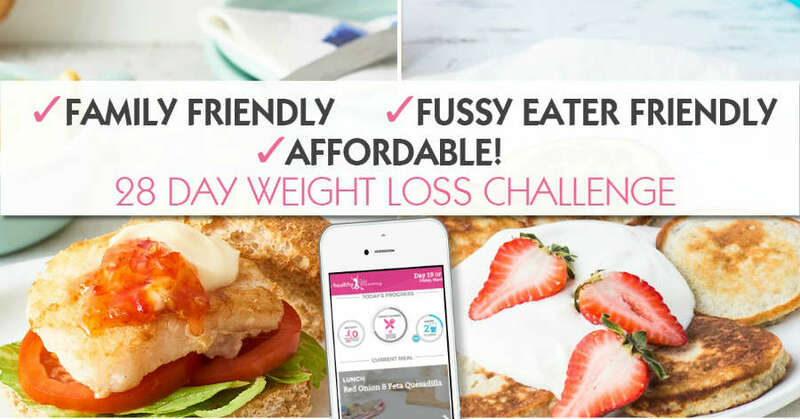 Just like Kaire, members can use the Healthy Mummy app to get access to THOUSANDS of recipes to help you on your weight loss journey. You can read more about Kaire and her weight loss success story here. We have an amazing team of writers at the Healthy Mummy that are all dedicated to getting you the best stories, information and content. Share     No comments. Transform your health and body with our family friendly recipes & calorie burning exercises.